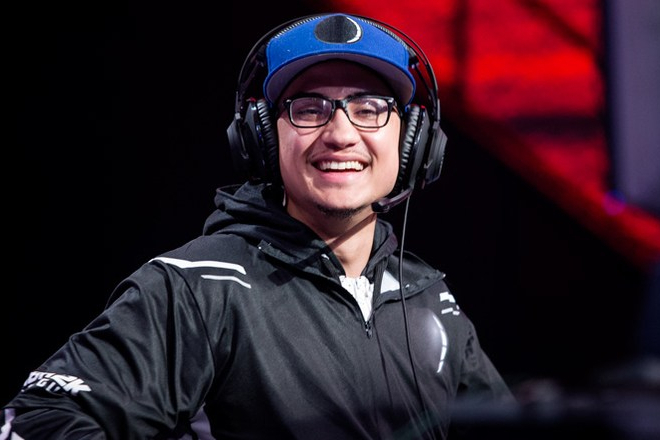 When Magic Gaming drafted Emmanuel “UCManny” Cruz in the second round of the NBA 2K League draft, it was a shock to many. But he proved his mettle with a strong season, playing in every game for Orlando and demonstrating his versatility by appearing at four positions over the course of the year. The New York native averaged over 15 points per game over the course of the season and shot 50 percent from beyond the 3-point line. The Magic subsequently retained UCManny alongside sixth-round pick KingCamRoyalty for season two, shocking very few people. UCManny kindly took some time out of his offseason to answer a few questions for DIMER. What was your experience with Magic Gaming like? How was the overall and day-to-day experience? UCManny: My experience with Magic Gaming was amazing, overwhelming and much more than I ever expected. From morning film reviews to strategic planning for weekly matchups, our day-to-day efforts were always productive. The team worked closely together everyday. They were my family while I was there. What does it mean to you to have been protected for season two? UCManny: Being protected for season two means everything to me. It feels good to know that the team believes in me and trusts in my abilities to lead the team this season. Tell us a little about your journey to the league and how your mindset has shifted since then. UCManny: My journey to the league was a challenging one. Since I was an unknown player, it was hard to be recognized in a crowd full of great, known players. I decided to use a rim/slasher at PF in the combine, a build I knew no one else would use. I also posted the best defensive stats at PF. Now, going into season two, I am well prepared and confident to lead the team with the knowledge that I have gained from all the great players I played with in season one. What has been your most exciting moment so far? UCManny: It is hard to choose what the most exciting moment has been when the entire experience has been overwhelmingly exciting. The draft, playing for thousands of people on Twitch, traveling to different places, meeting new people, interviewing with different sponsors and coming up from being last in the power ranking to finishing tied with the fourth-best record at 8-6 in the regular season. The Magic have never won the NBA title. What are you doing to give the franchise its first championship? UCManny: The Magic have never won a championship, but we are taking steps in the right direction. For starters, Magic Gaming is starting off season two with two solid players. We also have a coach this year [Jonah Edwards, former Mavs Gaming coach], something that we didn’t have until the end in season 1. We have been working hard during this offseason. We have been watching streams and analyzing players, making sure that we draft the right people. Additionally, I’ve prioritized working on perfecting my game and eliminating my weaknesses. I see a championship coming real soon.